Jessie Magaziner and Jonathon Szott are both from the suburban Philadelphia area, but their travels together have taken them across the world and into the great outdoors. 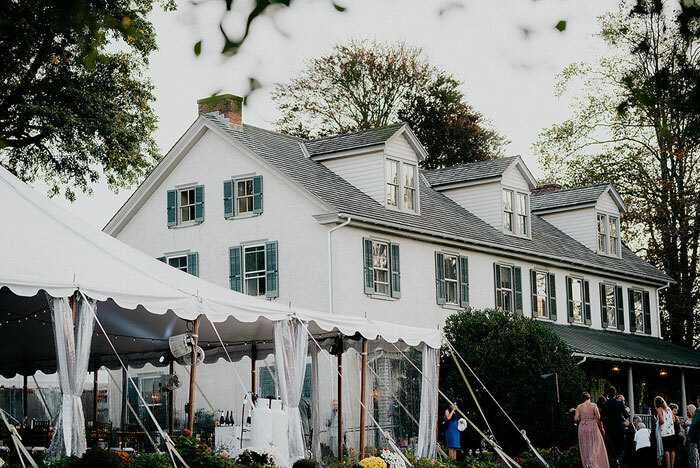 Located in Chester County, Springton Manor Farm is the perfect wedding venue to bring their love and adventures back home. Jessie and Jon cherished every moment they shared with nearly 200 guests on Saturday, October 21. 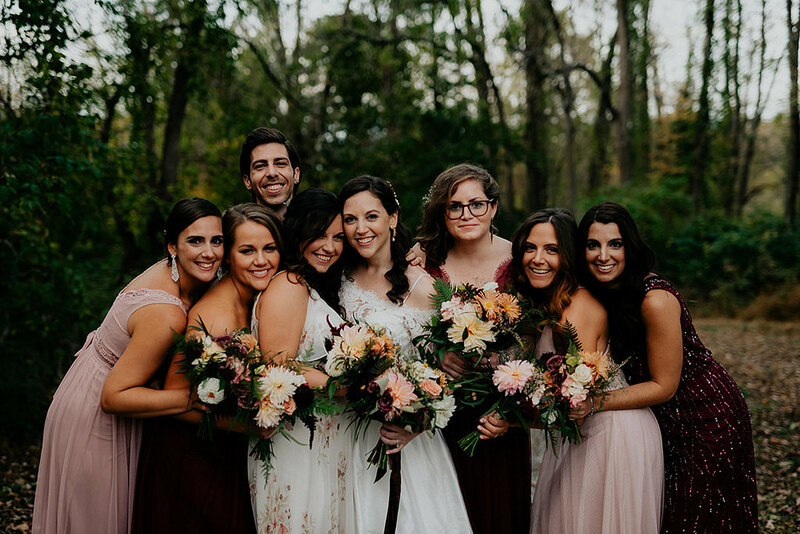 Springton Manor Farm, an idyllic ceremony and reception location, was easily personalized to exemplify Jessie and Jon’s rustic chic wedding vision. 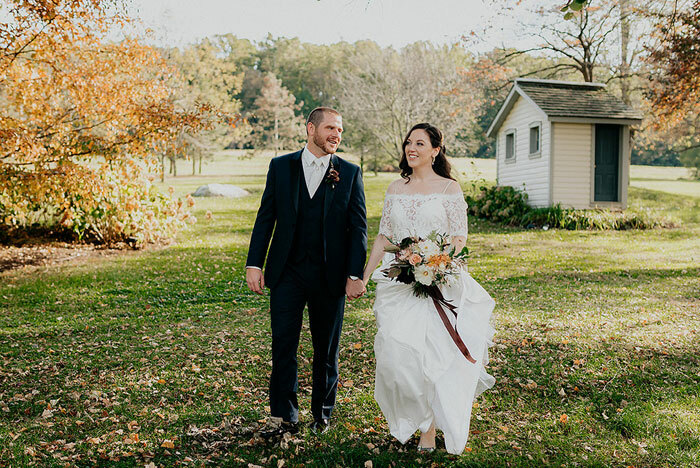 At 4:30pm, lush trees and lawns, meticulously placed flowers and a gentle breeze welcomed Jessie and Jon’s guests to a serene ceremony space. Under a birch arbor arch topped with delicate flowers, and with hearts full of joy, Jessie and Jon said their vows and tied the knot. As picturesque as they imagined, their ceremony was a beautiful start to their celebration at Springton Manor Farm. 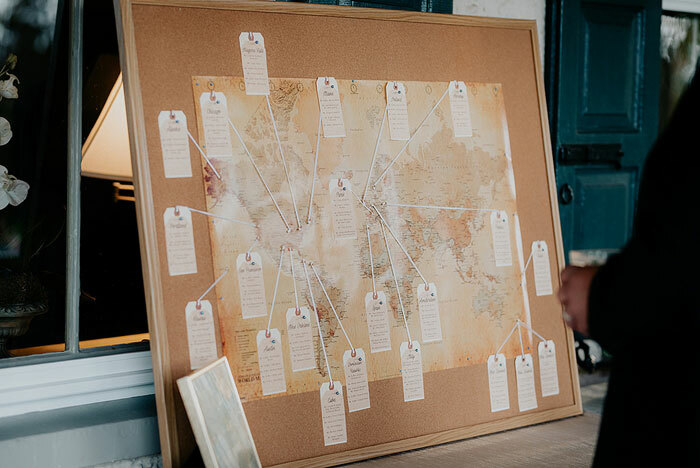 Vintage postcard table numbers: From Paris to Portland and beyond! 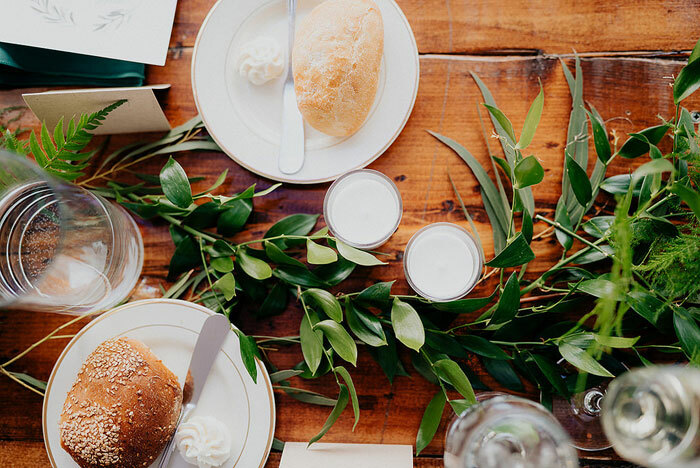 After taking a seat at elegantly decorated tables, guests received vodka shots for toasts. With spirits soaring, the bridal party lined the dance floor for introductions that preceded the traditional dances and blessing. As more memorable speeches took place, guests enjoyed a fresh crispy wedge circle salad with smokehouse blue cheese, shaved red onion, crispy Applewood smoked bacon, teardrop tomato and buttermilk blue cheese dressing. At 8pm when the fire pits opened, guests were inspired and captivated by the atmosphere and ambiance of Jessie and Jon’s party. Little did they know that Jessie and Jon had more surprises in store. The 8:45pm cake cutting was joined by a presentation of birthday cupcakes for Jon’s mother and Jessie’s aunt. Announced by the DJ, the celebration of these guests’ birthdays delighted everyone. A champagne toast by Jessie and Jon’s parents to personally recognize their love and commitment was another real treat. Among the blush, burgundy, gold and rose gold color scheme that elevated the delightfully dazzling atmosphere, guests danced the night away. 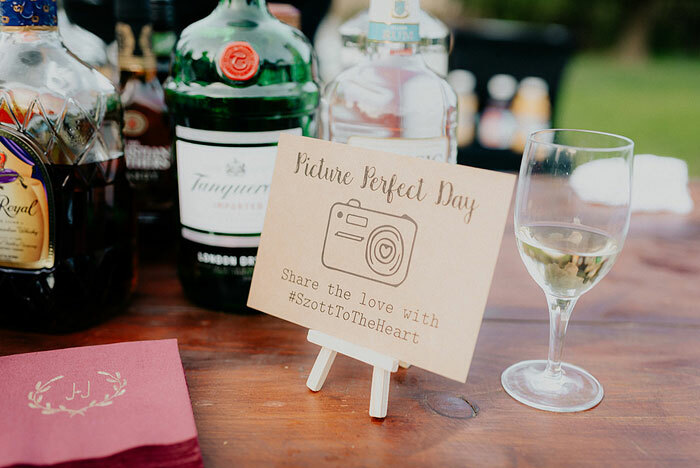 Whether enjoying a cup of coffee with a slice of the semi-naked cake or visiting the bar for another tasty drink, guests remembered to use the hashtag “SzottToTheHeart” when snapping photos at this unforgettable wedding. 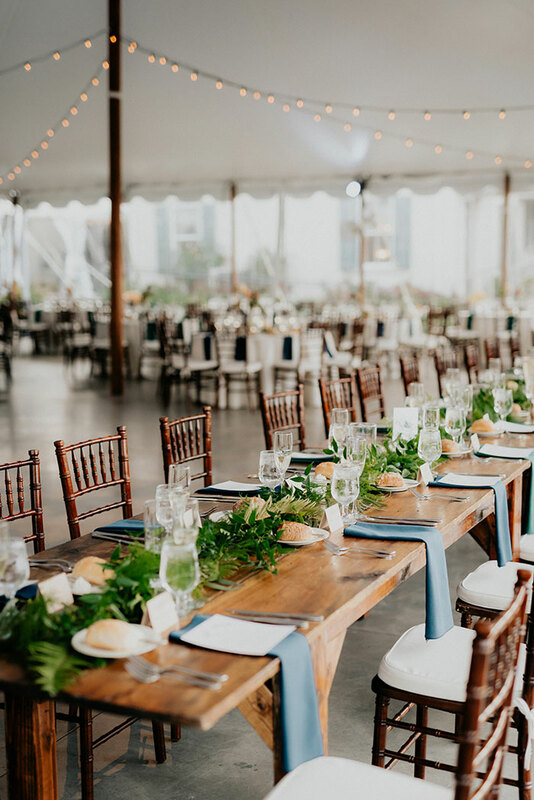 From the moose bride and groom cake toppers to the outstanding energy felt on the bustling dance floor, many aspects of Jessie and Jon’s wedding can’t be shared through words. That’s why we invite you to watch this fun video by NST Pictures. 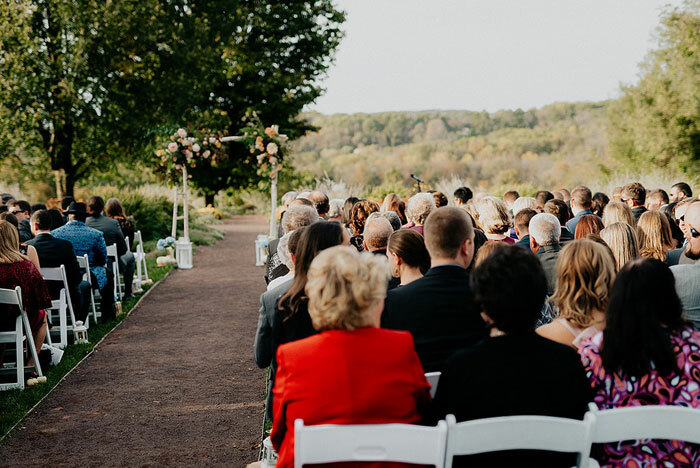 If you can imagine yourself celebrating among the lush farmland and historic charm that characterize Springton Manor Farm, then contact our team online or give us a call at 610.733.2516.